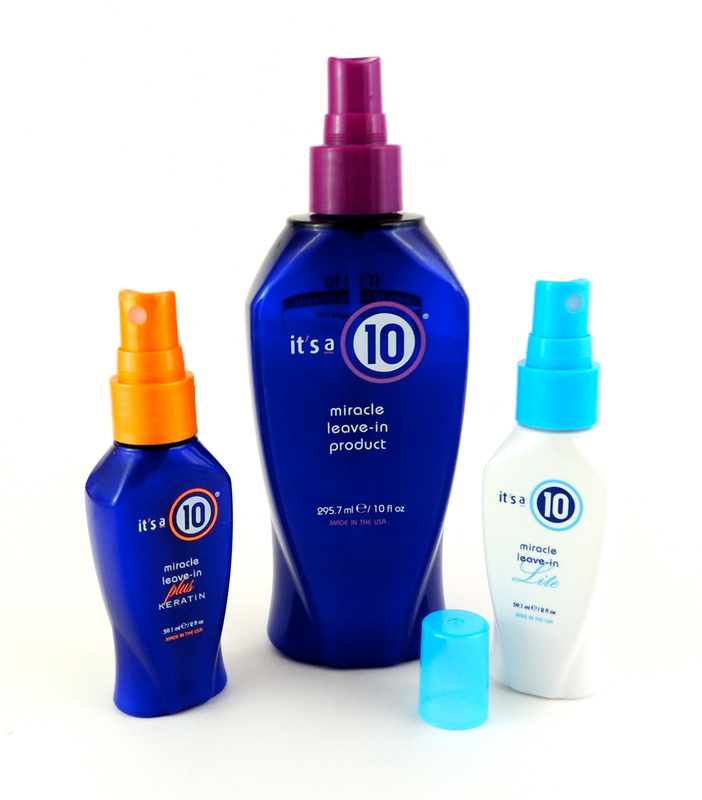 IT'S A 10 Miracle Leave-in Product and leave-in hair conditioners - Give Me Gorgeous! 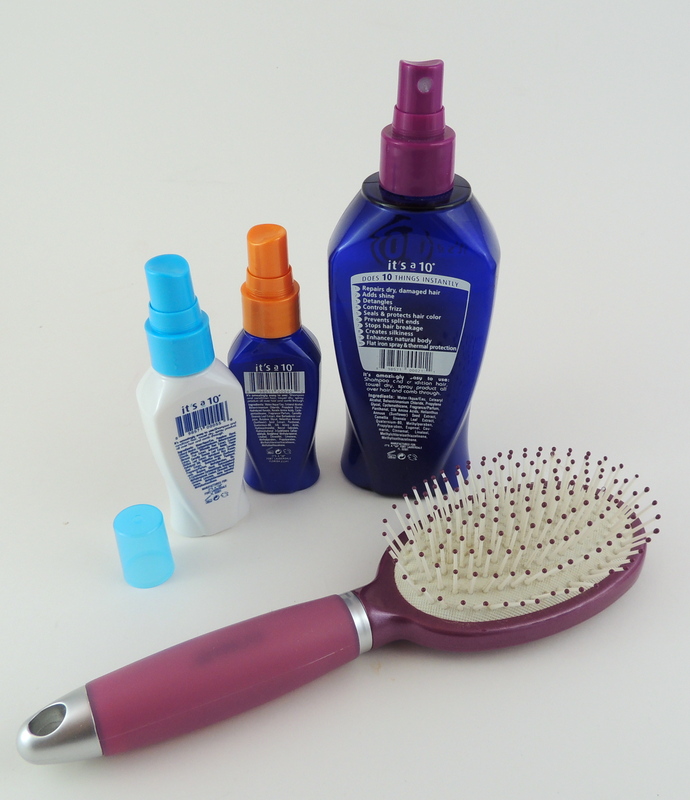 It’s A 10 Miracle Leave-in Product is one of my favorite leave-in hair conditioners! Having long hair means that the ends of hair strands are older and drier. My hair tends to tangle and sometimes be difficult to brush through after shampooing. Multiple factors call for extra care for my tresses, including the usual stresses of styling, weather, sun and foil treatments. 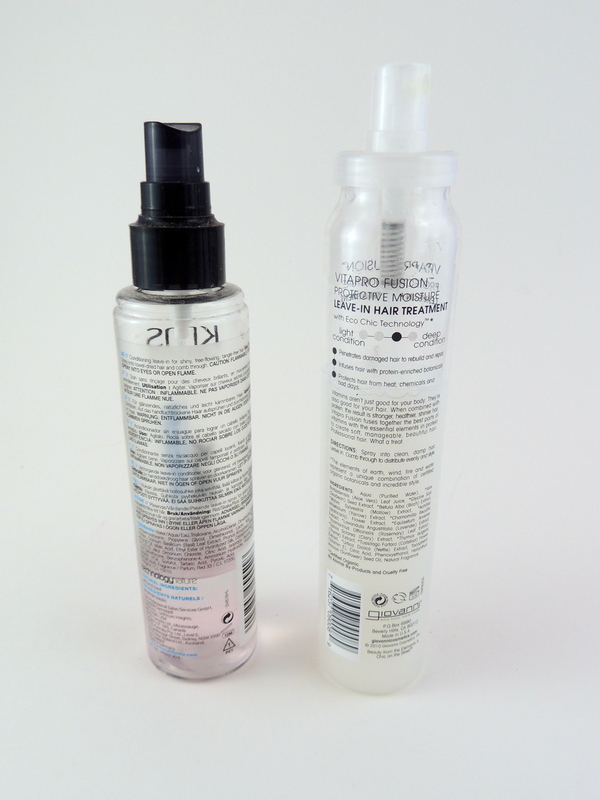 I have several leave-in conditioners that work well for my hair and are proven for me. All of these conditioners are sprayed directly into towel-dried hair before brushing and styling. Luckily, it’a a 10 comes in at least five varieties that I know of: Plus Keratin, Miracle Silk, for Blondes and Lite (as well as the original it’s a 10 formula). All of the different kinds are supposed to have 10 benefits: repairs dry and damaged hair, adds shine, detangles, thermal protection, frizz control, seals and protects hair color, prevents split ends, stops breakage, creates silky texture and enhances body. I have three of the varieties, and this brand is a go-to product for me. You know you can find these at least at Sephora, Target and Ulta. The larger of the bottles pictured is 10 fl oz, the others are samples at 4 oz each. Other top picks for me are KMS California Silk Sheen leave-in conditioner and Giovanni Vitapro Fusion Protective Moisture Leave-in Hair Treatment. These two have also had very good results for me. And, since I generally use a leave-in conditioner after every wash, I like to change them up so that I’m not using the same one all the time. The Giovanni promises to penetrate damaged hair to rebuild from inside. It contains a list of natural extracts like Aloe Vera, Birch, Yarrow, Rosemary, Nettle and Sunflower Seed oil to name a few. It has no animal by-products and is cruelty free. I purchased mine at Pharmaca but I know salons carry it as well. 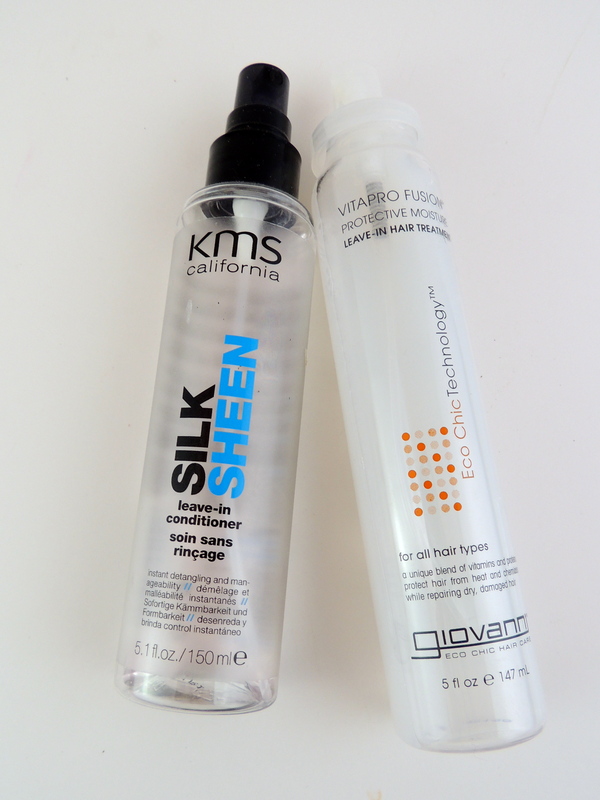 KMS is meant to add shine while creating tangle-free hair. Its list of ingredients are not as naturally based, but it does include almond basil as its main natural ingredient. I bought my bottle on-line at a beauty supply store. Each of the last two bottles are 5 fl oz each.